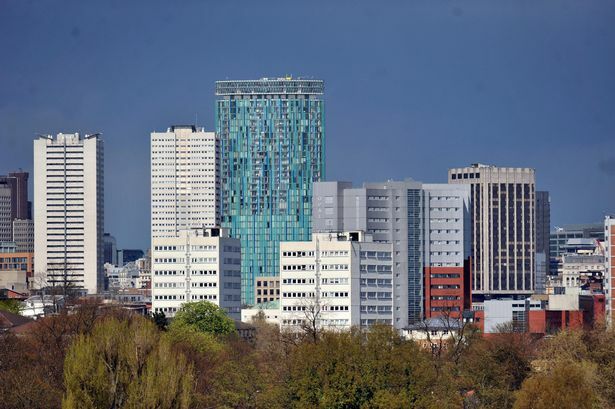 Nearly a third of mid-market firms in Birmingham want to sell up, according to new research. A study by law firm Mills & Reeve reveals many directors in the city are looking to sell – even if they could scale up and increase the value of their company in the long term. Researchers claim 29 per cent of Birmingham’s mid-market business leaders are actively planning on selling their company. But an impressive 59 per cent reported they were experiencing an increase in investor interest in their firm. While this could be interpreted as a sign of a dynamic mid-market, the report reveals in some cases the decision to sell has been made due to factors beyond the business owner’s control. A total of 23 per cent of the Birmingham business leaders surveyed felt “forced” to sell, the research found. Peter McLintock, a corporate partner in Mills & Reeve’s private sector business services team, said: “The mid-market currently accounts for a quarter of the UK’s turnover. “Not only is this stalwart of the economy capable of delivering even more growth and jobs, from its ranks will emerge Britain’s next generation of world-leading large enterprises. The research suggested business leaders felt pressured into acting now after a prolonged period of inactivity in deal-making. A total of 21 per cent said they feared they would “miss the boat” if they did not exit immediately and deal activity died down. The report, entitled Full Scale Ahead, comes ahead of a series of events put on by the law firm to support mid-sized businesses to scale up and achieve their ambitious growth plans. The study further revealed the impact of pressurised sales on the economy. A total of 74 per cent of Birmingham’s mid-market business leaders felt the economy would be stronger if more companies were scaled up rather than sold. Almost two thirds worried about the country’s economic future because so many great prospects were sold before they reached their full potential, respondents claimed, while 44 per cent said business exits had a detrimental impact on the local economy. Researchers also found respondents in Birmingham were struggling with the economic climate. A total of 44 per cent claimed it had never been so hard to grow their business. Mr McLintock added: “Owners of medium-sized businesses emerged from the recession with confidence and the belief that they could grow their business with the right finance and support. Yet, to many, scaling seems more challenging than targeting an exit. “Both scaling up and selling a business presents its challenges. Those owners looking to sell their business should hold their nerve, not be pressurised into exiting too soon, and instead wait for the optimum time to exit.